Next year marks the 85th anniversary of United Airlines. 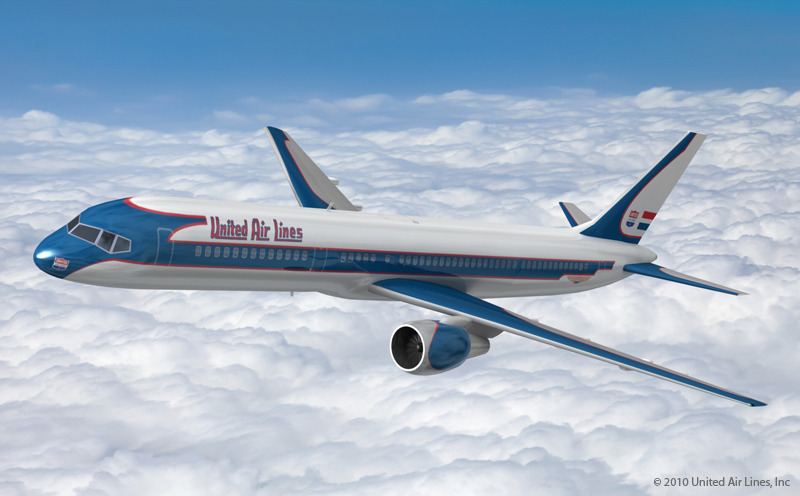 The company is asking its employees to vote for one of five retro liveries that will grace a repainted Boeing 757-222 jet as part of the celebration. As much as I’ll complain about the company, I have long and fond ties with United. My father worked most of his adult life for them, I worked for them the summer after high school, Tawn flew with them for a few years, and several of our friends are current or former UA employees. Needless to say, I spent many hours standing by for flights on United as a non-revenue pass holder. With that in mind, I thought I’d share the five livery options with you and get your input. Which do you think is the nicest? #1 – 1930 scheme that was originally on the Boeing 247. #2 – 1950s livery that was originally on the Douglas DC-6. 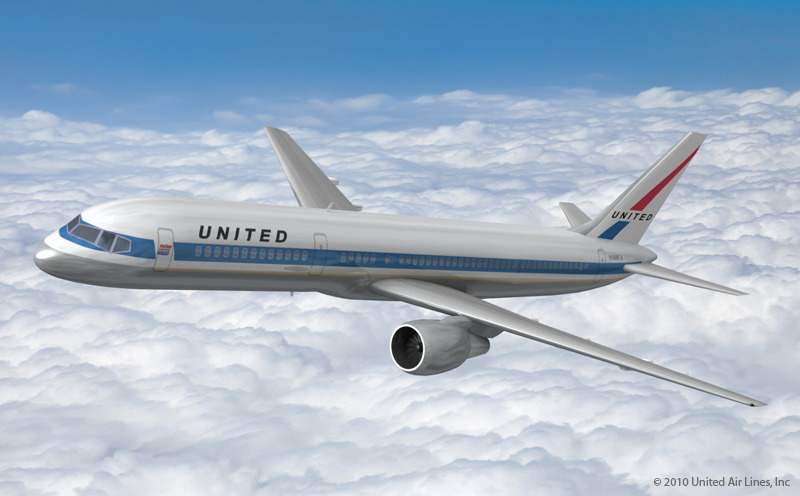 #3 – 1960s livery popularized with the delivery of the Boeing 727 and Douglas DC-8. #4 – 1970s livery, the “Stars and Bars” which I remember from my earliest years. #5 – The Saul Bass “Rainbow and Tulip” livery which was introduced in the mid-70s and lasted until the early 90s when a battleship grey livery was introduced. This is actually a slight modification of the original logo, which had the windows going through the red – the middle – stripe with a slightly smaller “United” logo above the stripe. So, what do you think? Which livery would best celebrate the 85th anniversary of the oldest commercial airline in the United States? This entry was posted in Uncategorized and tagged Airlines, Airplanes, anniversary, aviation, Color Scheme, Design, Livery, Logo, Paint, United by christao408. Bookmark the permalink. #1 or #4 are my favorites. I like #4 best, but #1 perhaps commemorates the history of the airline better. #1. Gotta go all retro! The oldest one all the way! 2 for me, with 1 second place. i don’t like united… i’m really sad that they merged with continental, because i feel like continental is now becoming more like united. on my most recent flight, they stopped meal service in the cabin (you have to pay for food now, just like united) and there are no movies being shown (you have to pay to watch pre-recorded tv since we fly out of the range of the live direct tv option). @kunhuo42 – No doubt that the service levels will find a crappy middle ground instead of going with CO’s better service. However, I think the Economy Plus product will be expanded to both fleets, which is an improvement. Leg room is a nice thing. Heh! This is a no brainer – the 1930s option #1 of course! I wish they would do them all, and add in several more Continental retro logos also. While we are at it. paint some jets with the other ancestors too- Capital, Frontier, Texas International New York Air, People Express. #1 for me too. I think when I came to the US, I flew United from JFK to St. Louis on #3. I would have to vote for #2 although #5 has many memories since that is the paint job I remember as I spent many an hours standing by for United flights. I can remember when they introduced the battleship gray livery and how excited we were when we arrived at an airport to see how many planes had been converted to the new livery. Interesting memories! @mjmurphy100 – There was a Continental logo jet a few years ago to celebrate the 75th anniversary of the airline. Here’s the link to a nice picture of it. 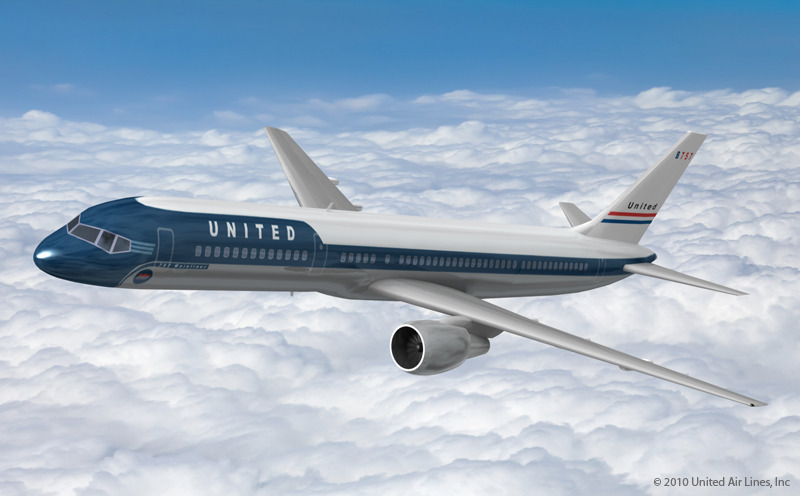 I agree that it would be nice if the new combined company did something similar to US Airways and do paint schemes to commemorate the various companies that have become part of UA-CO over the years, including Texas International. @oldpartner – @AppsScraps – @ZSA_MD – @ThePrince – @murisopsis – @alextebow – @ungrandvoyage – @RakkaRay – @Fatcat723 – @sassyjessie – @Roadlesstaken – @puella_sapiens216 – @yang1815 – @slmret – Thanks for taking the time to share your opinion. The winner by a wide margin was the oldest livery, #1. My personal favorite was #4, the “Friend Ship” livery from the 1970s.The best idea came from mjmurphy100 who suggested that they do them all. US Airways did something like this a few years ago, doing retro liveries for each of the companies that had become a part of US Airways ofter the years, including Piedmont, Allegheny, and PSA. Yeah, I liked #1 the best. The font is cool. heh. #4 is soooo 70s. remember mork and mindy?